Oil States’ Nautilus™ line of marine cranes is respected worldwide for quality, safety and engineering excellence. Nautilus™ marine cranes are in use around the world on all types of fixed and floating structures such as offshore production platforms, TLPs, spars, marine vessels and on dockside mount applications. 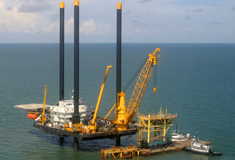 Nautilus™ marine cranes utilize slewing bearing technology, considered the safest technology in modern crane design, especially for floating facilities. 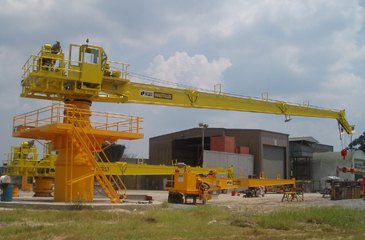 Our crane solutions incorporate the latest hydraulic technology to deliver the highest-quality, slewing-bearing, pedestal-mounted cranes available. 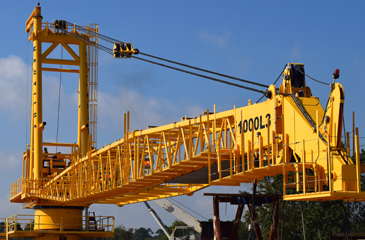 Oil States Nautilus™ marine cranes are API 2C monogrammed cranes. 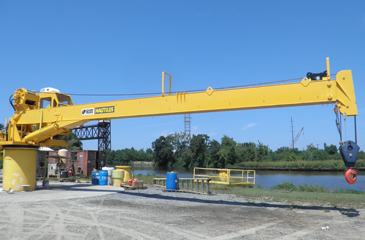 See Oil States Nautilus marine cranes onboard the Montco Liftboat here. Boom length can be easily changed. Open center access for ease of maintenance. Capacities from five tons to 500 tons. Efficient and durable box-type construction. Boom retracts for compact storage. Repair and refurbishments of all makes and brands of marine cranes. Vast inventory of spare parts. 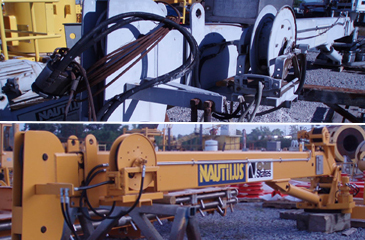 Large inventory of used Nautilus™ cranes.